A very familiar name in Cape Region sports is expanding into public golf. 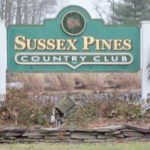 Pete and Michele Townsend, owner/operators of Sports at the Beach, are acquiring the former Sussex Pines Country Club southeast of Georgetown. The official change in ownership is slated to occur before the end of the month. The course’s new name is Mulligan’s Pointe Golf & Community Club, and it will be completely open to the public. Sussex Pines opened as a nine-hole layout in 1967. 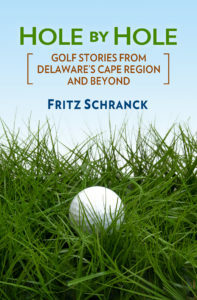 Edmund Ault, a popular Mid-Atlantic golf course architect at the time, did the original design. Golf architect Al Janis laid out the additional nine holes that opened in 1989. Five of the holes are predominantly open, while the rest meander through stands of tall trees. Several renovations have been made on both the course and the clubhouse over the years. Pete has been a member of Sussex Pines for many years, but hadn’t been playing golf for “over 20 years”, he said. He returned to the game and played the course last summer. Townsend said, “I got a whim” that he could help out the fiscally troubled club. Discussions with his bankers and the club continued into the fall, and the Sussex Pines membership voted to sell the property. The Townsends plan to expand the bar and add a new outdoor dining area overlooking the golf course. The pro shop will be relocated and updated. Renovations are also in the works for the banquet rooms. Bermuda grass is to be planted on the golf course fairways this spring, using the services of Oakwood Sod Farm near Delmar. The Georgia House restaurant has been handling the food and beverage operation at the course’s Grill Room and Bar. That will continue. The Townsends plan to update the menu, schedule weekly happy hours, and carry on the club’s ongoing bar bingo and trivia nights. For many years Sussex Pines has been a central Sussex destination for catered wedding and private parties, and the Townsends hope to expand that part of the club’s business. Mid-level country clubs such as Sussex Pines have faced many financial challenges in the last fifteen years. Some closed while others converted to public use to stay open, such as Shawnee Country Club’s transition to The Rookery North several years ago. The Townsends’ investment in Mulligan’s Pointe preserves another valuable recreational opportunity for Sussex County’s residents and visitors. For more information, go to mulliganspointe.com. The Indian River Volunteer Fire Company serves the southern part of the Cape Region, including the neighborhoods of Oak Orchard, White House Beach, and Long Neck, since 1953. The Peninsula Happy Hour Men’s Club is currently busy with their 9th Annual fundraiser for the IRVFC, to be held at The Peninsula May 8. At this point the group is focusing its efforts on obtaining as many event sponsors as possible. The money from this part of the tournament is a major component of its fiscal success. Some of the sponsorship opportunities include playing in the tournament. The Gold level ($2,500) comes with 4 playing spots, while Silver ($1,200) includes 2 spots. The Bronze level ($600) is a single entry sponsorship. Other sponsorship options don’t include playing spots, but the folks running the tournament know that many sponsors are fine with that. Premium sponsorships are $350, Contest Hole sponsorships are $300, and a simple Hole sponsorship is $200. The entry fee to play is $150 per person in the scramble format tournament. The fee includes a breakfast buffet before the 11 a.m. shotgun start, the round with cart, beverages and food on the course, and a full dinner reception after playing. Naturally, there will also be raffles and a silent auction. For more information, contact the IRVFC at ivrfc.com, or email them at irvfcgolf @ gmail.com. If your organization has a charitable golf outing planned for 2018, The Cape Gazette is happy to help with information in this column. Please send the information at least one month ahead of the scheduled event, so it can appear in this column in time for potential players to decide to play and clear their calendars. If you are also seeking sponsors, contact me as soon as possible because of the naturally longer lag time that part of the process always takes.